AFCAT 2019 - Indian Air Force has invited online application for AFCAT 2019, for recruitment to the post of Commissioned Officers in flying and ground duty (Technical and Non-Technical) branches. The candidates who will qualify the AFCAT 2019, shall be inducted to courses commencing in January 2020 for grant of Short Service Commission (SSC) in Flying Branch and Permanent Commission (PC) / Short Service Commission (SSC) in Ground Duty (Technical and Non-technical) Branches. Permanent Commission PC for Men: Candidates joining as PC officers would continue to serve till the age of superannuation as per their branch and rank. Ground Duty (Technical & Non-Technical) Branch: 20 to 26 years as on 01st January 2020 i.e. born between 02nd January 1994 to 01st January 2000 (both dates inclusive). Note: Candidates below 25 years of age must be unmarried at the time of commencement of course. Widows/Widowers and divorcees (with or without encumbrances) below 25 years of age are also not eligible. Candidates will be required to complete 1.6km run in stipulated time frame of 9 Min, 100 Meter run in 16 sec, furthermore 20 Pushup and Sit-ups in 1 minute, should be able to do 3 chin-ups and should be able to swim 25 meter. Agartala, Agra, Ahmedabad, Aizawl, Alwar, Aligarh, Allahabad, Ambala, Amritsar, Bareilly, Behrampur (Odisha), belagavi, Bengaluru, Bhagalpur, Bhilai, Bhopal, Bhubaneswar, Bhuj, Bikaner, Bihar Sharif, Chandigarh, Chhapra, Chennai, Coimbatore, Dehradun, Delhi and NCR, Dhanbad, Diu, Durgapur, Faridabad, Ganganagar, Gaya, Ghaziabad, Gorakhpur, Greater Noida, Guntur, Gurugram, Guwahati, Gwalior, Haldwani, Hyderabad, Imphal, Indore, Itanagar, Jabalpur, Jaipur, Jalandhar, jalpaiguri, Jammu, Jamshedpur, Jhansi, Jodhpur, Jorhat, Kakinada, Kannur, Kanpur, Kochi, Kohima, Kolhapur, Kolkata, Kota, Kurukshetra, Leh, Lucknow, Ludhiana, Madurai, Mangalore, Meerut, Mumbai, Mysore, Nagpur, Nasik, Nizamabad, Noida, Pathankot, Patna, Port Blair, Puducherry, Pune, Rajkot, Ranchi, Roorkee, Rourkela, Sambalpur, Shillong, Shimla, Silchar, Solapur, Sonipat, Srinagar, Thane, Thiruvananthapuram, Thrissur, Tinsukia, Tirunelveli, Tirupati, Udaipur, Ujjain, Vadodara, Varanasi, Vellore, Vijayawada, Visakhapatnam, Warangal. For the preparation of the examination, a candidate should go through the exam pattern first. By going through the exam pattern candidate will get an estimate about the marking criteria. Q - What is AFCAT? Q- How many times a year is AFCAT? Q- What is EKT in relation to AFCAT? Q- What is the time duration for AFCAT? Q- What is the Age Criteria for AFCAT? Q- . What are the options you can apply for after AFCAT? Q- What is the eligibility Criteria for appearing for AFCAT? Q. How difficult is AFCAT? Q- How many attempts for AFCAT ? 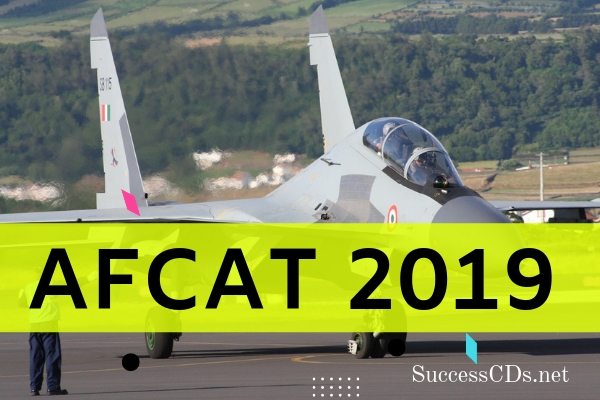 Q- What is the AFCAT Syllabus and Exam pattern? Q- What is the salary of Flying officers on grant of commission? Q- What all document to be uploaded in AFCAT Application?